This course is an opportunity to improve in the abilities of improvisation and instant composition. The material proposed include a clear attention to body anatomy, psycho – physical states and cognitive processes behind each movement: from the sensation of the body in movement to the composition decisions that each person has to take in the immediacy of the present moment. 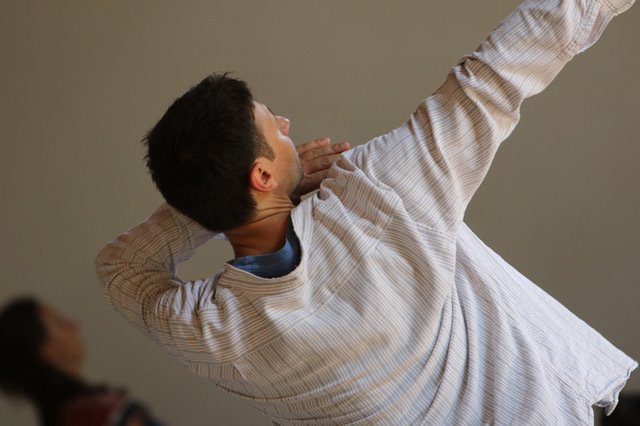 Through the active use of imagination and intuition, participants learn to use the body, the time and the space to create choreographies and movement poems. Spontaneity and creativity in action, thought and harmony perception are some of the themes developed in the course. This course is open to anybody that want to play with the body to create movements and dances in ‘real time’. is an Italian dancer focused in the art of improvisation and instant composition. His work is based on a specific practice of intuition as a first tool to create dance and text on stage.